We like to say that “money can’t buy happiness.” To a certain extent, that’s true. In many cases, simply having more money isn’t going to make you happy. Much has been made of recent research that indicates that there is a point at which your income is maxed out for happiness (it can vary according to state). Perhaps you acknowledge that you don’t need to live an extravagant lifestyle to be happy. However, that doesn’t mean that money has nothing to do with happiness. 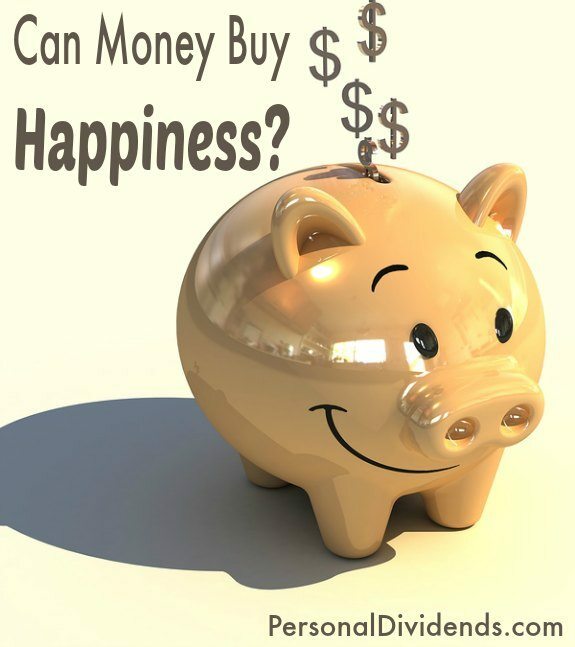 Financial security can have a lot to do with how happy you feel. According to the Life Reimagined survey from AARP, 39 percent of respondents feel that financial security would contribute to happiness. Additionally, financial security (or lack thereof) is one of the main reasons that many people aren’t able to prioritize their lives according to their wants. Financial security is a big deal because it can reduce stress and anxiety. Being able to provide for your basic needs, without worrying about making ends meet each month is a big deal. It matters in your relationships as well as in other areas of your life. Without financial security, you are worried all the time, and it can be easy to snap at your partner or your children, straining your relationships. So, while having a lot of extra money isn’t likely to suddenly bring you ecstasy, the reality is that it does matter. You need some level of financial security if you expect to have a little more basic happiness in your life. One of life’s realities is that you feel more satisfaction when you have choices. Someone with financial freedom has more options that someone without that same freedom. No, you don’t need a lot of money to be satisfied with your life. But it can help to have enough money that you are able to mostly do what you want. Most of us don’t feel like we need enough money to do everything. However, having the money to do what we want can be a powerful thing. And, let’s be honest. If all of your money is going to pay monthly obligations — like interest on your debt — it’s hard to feel satisfied with your life. When you are stuck meeting obligations all the time, and you don’t have the ability to spend on what you would rather spend on. Even if you don’t have debt, your situation can still leave you without choices. If all your money goes toward bills and the basics of survival, and there’s nothing left over to use on things you consider fun or fulfilling, it’s hard to feel satisfied with your life. A little extra money to allow you to enjoy life can go a long way toward satisfaction. Choice also comes into play in other ways. I’m in a position where I can choose to pay an extra $50 or $100 for a plane that leaves at a more convenient time. I don’t have to take the red-eye if I don’t want to. I also have enough money that I can stay in a nice hotel if I want to. While this isn’t a source of amazing happiness to me, it still, nevertheless, offers me options that are satisfying. Too many choices can mean analysis paralysis, but many of us feel more satisfied when we know that we have the ability to choose between four and six options. Finally, sometimes it’s not a matter of how much money we have, but rather what we do with it. Some research indicates that spending money on experiences can make us happier than buying things. You might not feel happy with a house full of trinkets and furniture, but spending money on a vacation might be something else. I know that I derive satisfaction from spending on experiences rather than on things. It’s also worth noting that there are studies that indicate that we are happier when we spend money on others. Whether you spend $5 or $20 or $100, spending on other people is likely to make you feel good. Giving to charity and buying someone else a present has a positive effect on you. So, money may not make you happy, but spending it on someone else could have a positive impact on your feelings. In the end, you need to acknowledge that money can impact your happiness. No, it’s not everything. However, without it, and without the options it offers, life can be disappointing and unhappy. Don’t make money your focus, but if you consider what you can accomplish with your money, you might find a little more happiness.